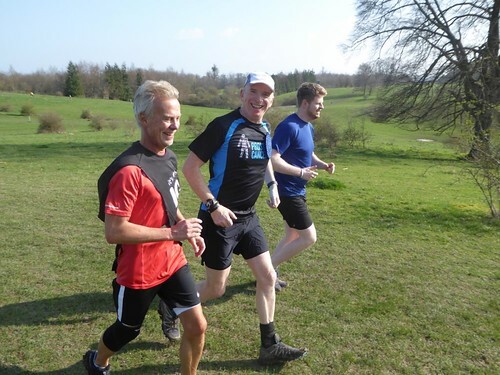 What another fabulous Tring parkrun and frankly a great weekend for running all round. 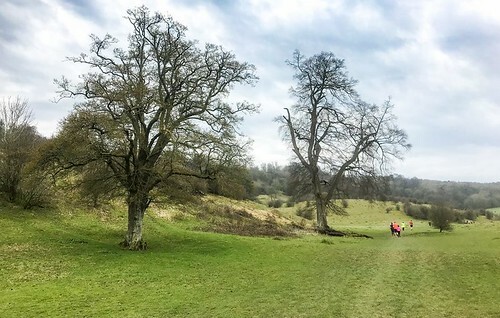 I sit here writing this having just got back for a Sunday evening double freedom run around Tring park (37:45 and 42:20 if you must know) and a personal record as it’s my first 10km in over a year and thus automatically my fastest of the year. 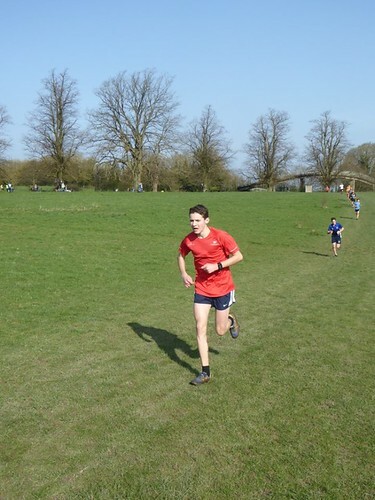 Kath Pither just missed out on the lottery size prize winnings by being the 66th person to run 65 times at Tring. Luckily for her, husband Jon was also running and claimed the award of the 65th person to run 65 times. Get it on the CV Jon – fame and fortune are bound to follow. It's been a while since even volunteers were in shorts - and very welcome the unseasonable warmth was too. With a royal wedding coming up, we had a slight historical recreation as it was the 1st time we had seen 3 Charlies and 2 Dianes. Of the runners who have run at least 5 times, the biggest PB improvements were Ayla India Bowles (4:48), Diane Le Pargneux (2:50), David Taylor (2:43), Lauren Dover (1:58) and Yogi Powell (1:57) Whilst on PBs a couple of mentions for regulars getting a PB after a gap. Well done to Gavin Wild who has run 89 times at Tring since his last PB and to Jenny Gribbin who has waited 64 runs at Tring and over 3 years to get a PB - well done to you both and indeed all today’s PBs. 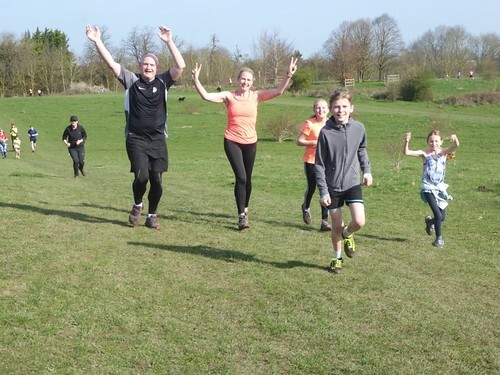 This week the sun shone brightly again and 253 people ran, jogged and walked the course, of whom 34 were first timers and there were representatives of 20 different clubs. 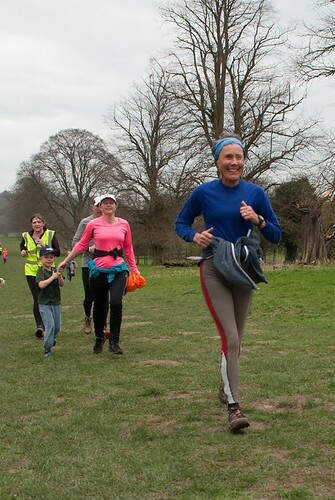 Volunteering at Tring parkrun is always rewarding, fun and appreciated. The event was made possible by 24 volunteers so thanks to: Evan Billings, Heather Billings, Catherine Bishop, Colin Chapman, Cathy Court, Elizabeth Daniel, Ken Douglas, Andy Evans, Graham Hollands, Edward Hopper, Nick Johns, Frances Leff, Greg Leff, Dan Lilley, Sian Lilley, James Maple, Chris Millar, Chris Nicholls, Chris Parker, Heather Painter, Helen Porter, Christina Stevens, Katie Van De Linde & Len Van De Linde. 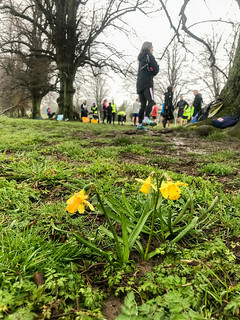 parkrun is only possible due to volunteers and we would ask all of our runners to consider volunteering from time to time. 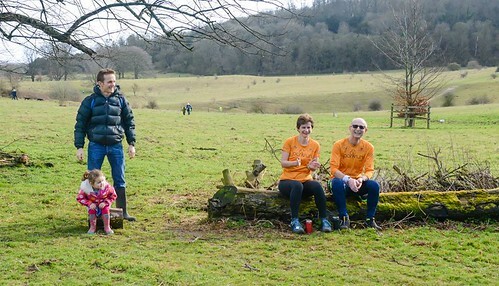 There are always spaces on our roster here http://www.parkrun.org.uk/tring/futureroster/ and if anything catches your eye please just email us at tringhelpers@parkrun.com. Thanks to everyone who has parked nicely or chosen to walk, cycle or run to the park of recent weeks, your efforts are appreciated by us and the local residents. For anyone planning on visiting us we would really appreciate if you’d park in one of the car parks in town while the museum car park is being repaired. 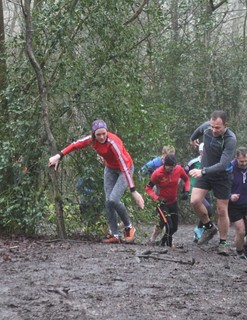 Dogs need to be on a short lead, running through the funnel in front of several volunteers and a load of other runners is hardly being subtle about breaking the rules either. No Barcode, No Time, NO EXCEPTIONS – After the results processing taking twice as long as it should have wading through over a page of additions can I please remind people that only printed barcodes will be accepted (either wristbands, cards, paper or similar) but not mobile phones. If your paper one is looking a bit tatty can I please suggest printing a new one if possible. On the subject of barcodes, massive props to Lucy Clutton who after running our course ran all the way home to pick up her forgotten barcode and then back again in time to get it scanned. 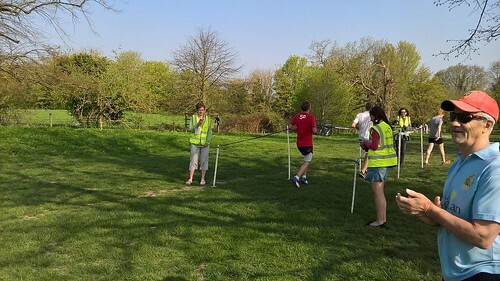 Well it’s 6 months since I was run director and it feels like just as long since we had weather this nice at Tring parkrun. Coincidence? I think not. 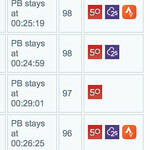 Another non coincidence is that it’s also 30 parkruns since I caused the results to be later than usual. I promise to try harder this week. 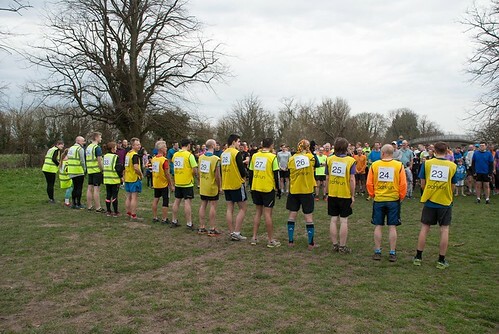 This week 248 people ran, jogged and walked the course, of whom 25 were first timers and 16 recorded new Personal Bests. Representatives of 22 different clubs took part. My Runner of the week has to be Dan DARLINGTON who appears to have forgotten his barcode as he’s not listed on the results. Anyway Dan, doing his own duathlon (cycle to parkrun and back), turned up about 10 minutes after all the other runners had set off and still managed to start catching the pack on the obelisk decent and finished in 30 something minutes. It looks hugely impressive on the Strava flyby. Well done on the 100th Alison! Well done on the 100th Ken & Dennis! Well done on the 50th Rosie! Well done on the 50th Issy (surrounded by her fan club)! Well done on the 50th Patrick and for equalling that PB! 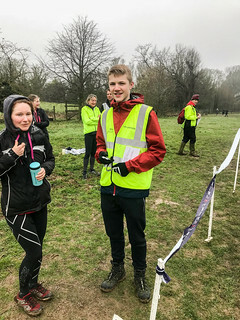 Serial PB-ers Chris Nicholls and Sam Bojarski both recorded PBs, Did you know Chris has recorded 3 PBs in 3 weeks, he has the 3rd highest all-time number of PBs at Tring and indeed in the last 30 months has recorded more PBs than anyone else. 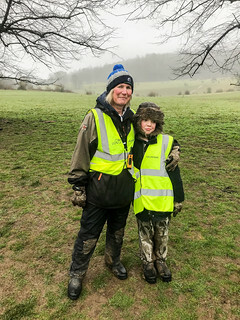 Meanwhile not to be outdone, Sam is 4th on the all-time PB list and has the highest ever junior total – well done both. 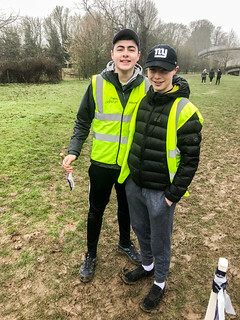 Well done also to William Brookman for finishing 19th on his 19th parkrun however we round off with our stats with Isobel Bladen. 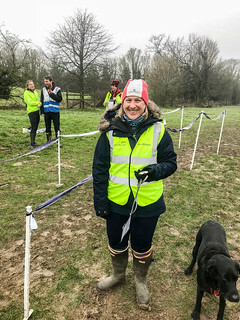 She has set many records at Tring and this week was no exception, when she finished 140th on her 140th parkrun – this being the highest number we have seen for this type of record. 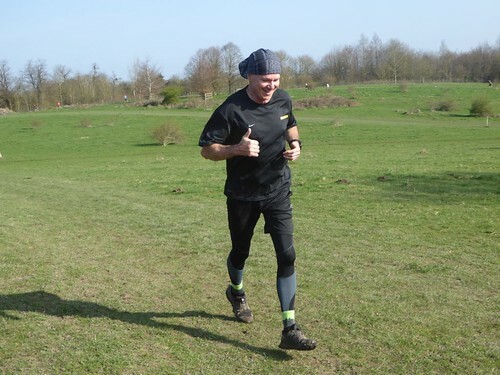 However it could have been one of the shortest lived records as 7 minutes later our very own Andy Evans came running in on his 210th run in …………… 211th – unlucky Andy - 2 seconds too slow! 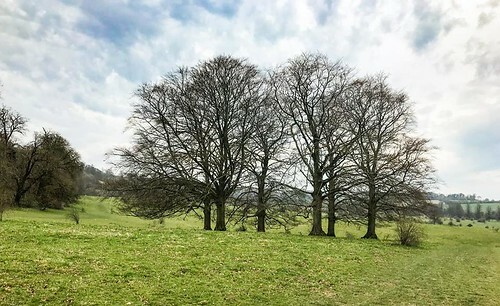 The roster is looking very bare for next week so please have a look at the roster here http://www.parkrun.org.uk/tring/futureroster/ and let us know if you think you could help us. All the roles are dead easy and training is given on the day. 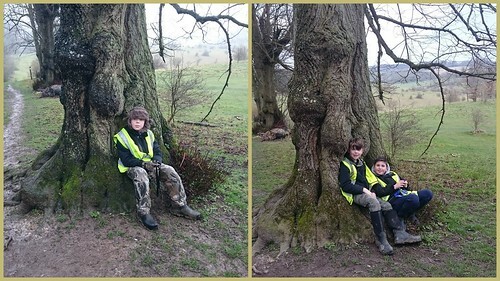 We are lucky to run around a beautiful park full of great trees with plenty of character. 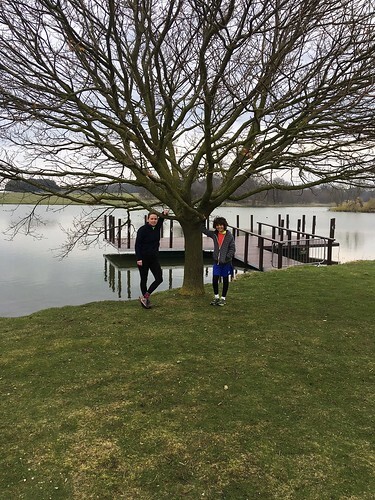 In this week’s run report we include some of your favourites and we even have a tourist tree! Did you manage to copy Holly’s finishline double cartwheel? 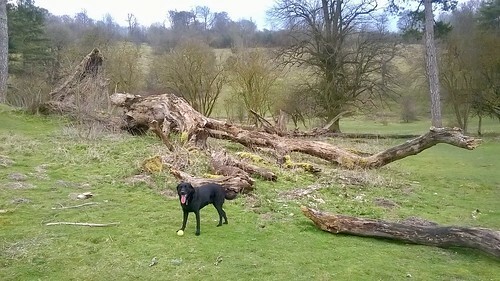 Ken Douglas: The old Spooky Tree would have been my fave - but it is now no more!! 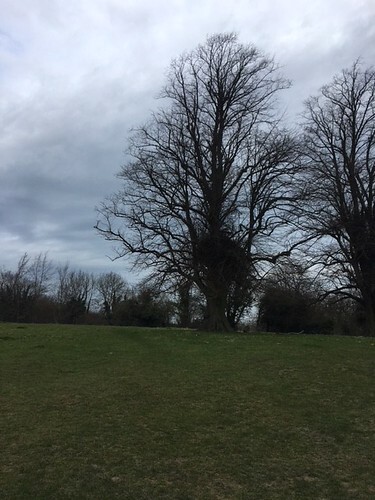 Clare Murphy: This tree is at the top of Heartbreak Hill. I look up at it every time I climb the hill and think "thank god, I've made it this far and I'm almost done"
Martin/Cathy Bishop: This is our favourite tree (well alright it's a log, but hope that still counts!). 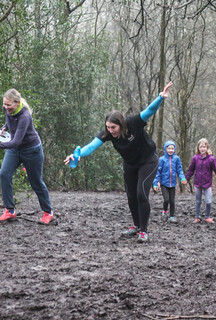 This is where we can be found at the end of each parkrun: Coffee, Clapping and Cheering! - The combination of pacers and firmer conditions meant it was a good time to get a PB with 31 managing this feat. Of those who have run 5 or more times, biggest improvements were Eve Garner (2:59), Sarah Dewhurst (0:50), Peter Nagy (0:46), Mark Thompson (0:38), Angelo Lucatello and Mollie Rees (0:34). 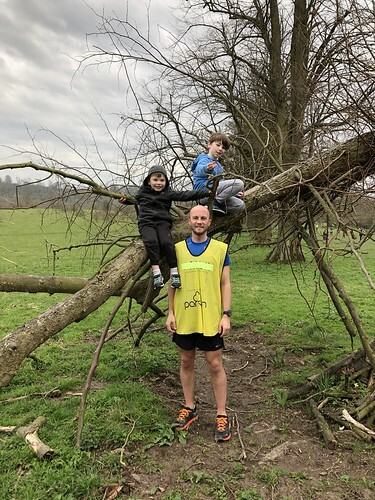 Angelo has waited almost a year for his PB, as has Catherine Bishop who saw a (0:34) improvement which is impressive when it’s your 73rd Tring parkrun, Chris Nicholls achieved his 18th Tring PB , the 4th highest ever total of PBs. - Current in-form runners with 2 PBs in 2 weeks include Chris Nicholls, Oliver and Ben Painter, Kayleigh Gray and Suzanne Margetts. 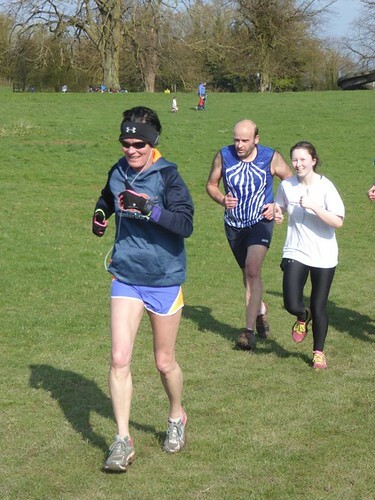 Our 2-member year 4 100% club continues with both Lorraine and James climbing up through the top-10 all-time longest continuous sequences of Tring parkruns. Here are the top 10 sequences…. 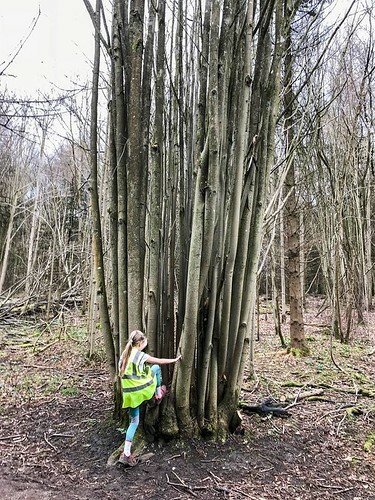 Tring parkrun 187 – Bumper, Spring colouring-in edition! 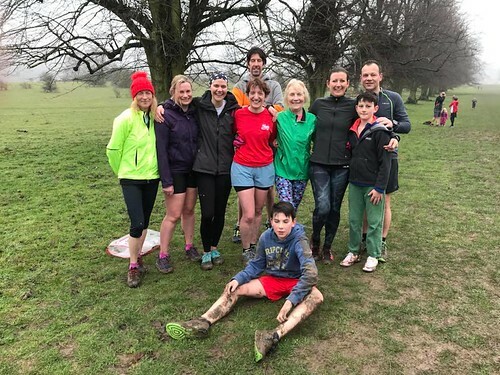 This week's run report aims to bring a little more colour to the exploits of 200 runners and 20 volunteers who gathered together at 9am in Tring Park on March the 31st 2018...and more!! 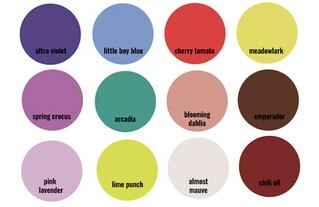 This year's "on trend" Spring colours!! Easter weekend was a dull, soggy affair; the vibrant bursts of natural Spring colours we've come to expect were sadly absent. There were glimmers of hope though. 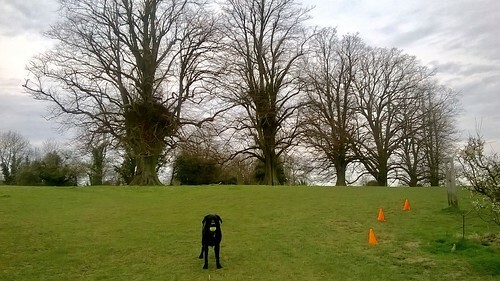 The grass in Tring Park is growing (just) the buds are budding (if you look very close) and we even found a little clump of (slightly mud splattered) daffodils not far from our Finish Line. 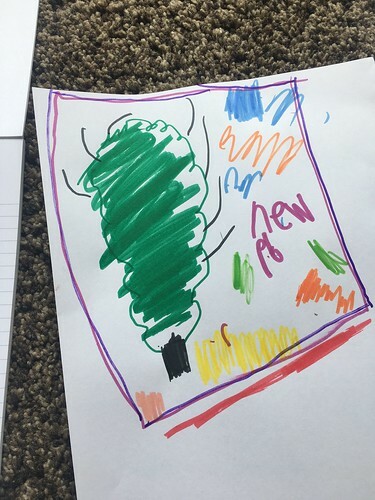 Apparently there are people who predict "the colours of Spring" (or any other season for that matter). In the chart above you can see where the smart money has been bet and it's fascinating stuff. Apparently all of that mud, so intent on coating itself over running shoes and kit alike, isn't brown but "Emperador"! Brave little daffodils, resplendent in a fine livery of "meadowlark"!! Our brightly coloured parkrunners need to pay more attention - that "red" top isn't quite "cherry tomato" if I'm not mistaken. Hillingdon AC are on trend! We had lots of lovely visitors this week, more on that below, but first a special mention to Angela, Lucy, Christina, Zoe, John, Lyndsey, Heather, Melanie, Edward, Paul and William visiting us again from Hillingdon AC. Welcome back to Hillingdon AC. We were impressed by the deft combination of "little boy blue" and "cherry tomato", as modelled by Lucy in the centre! "11 members of Hillingdon AC made their way around the M25 and up the A41 for a bit of parkrun tourism. One of the group, Heather Davidson (the one with the stars on her headband), is leaving Hillingdon AC very soon for a new life in Somerset. 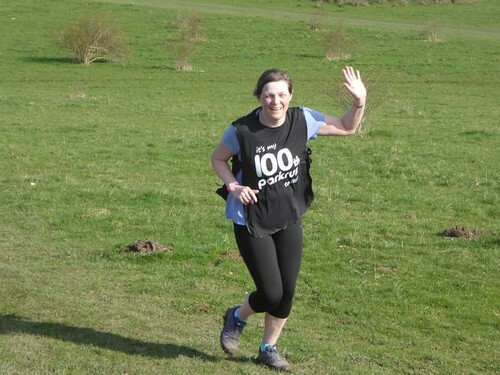 Heather made a visit to Tring parkrun in September 2017, when a little sunnier, and loved it so much she wanted to visit again before she leaves for her new adventure. Maybe she wanted to start getting used to some bigger hills! Thank you for having us and making us feel welcome. 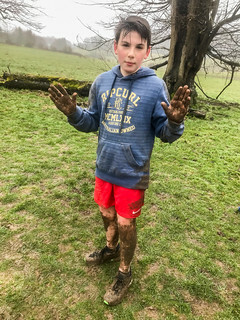 Hillingdon AC always love the mud, some more than others as you can see!" That last line refers to William who still managed a PB (as did Melanie - who we presume is his big sister) despite covering much of the finish straight in a horizontal orientation! The great thing about a first run at Tring (or any other parkrun) when it is slippy and damp is that you're virtually assured a Personal Best on your next visit! 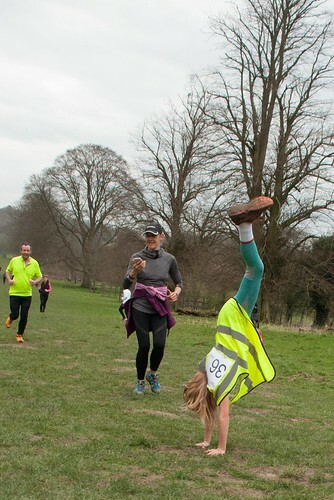 Clearly this is what the following very welcome first time parkrunners had in mind. Well done to all of the following on what we hope will be the first of many parkruns. It's that time of the year when we struggle a bit with volunteers and so we especially welcomed the heroic efforts by everyone who spared a little of their time to make this week happen. 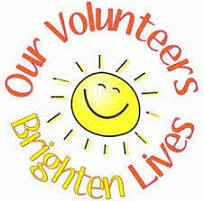 Send an email to tringhelpers@parkrun.com or message us on Facebook if you'd like to help out. Anyway - a special mention to Jim Maple. He had heart surgery on the Monday and still came to help as our "musical marshal" with an appropriate playlist at Gate 1. Thank you Jim and great to see you looking so well. 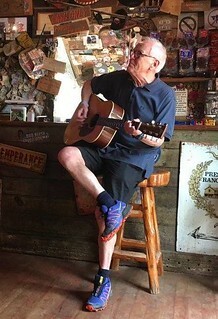 Jim - playing music with his running shoes on. Got to love it! Hidden "secrets" buried in books, films, computer games and web-sites have become known as "Easter Eggs". It's perhaps not quite a secret but a new add-on to the Chrome Browser provides all manner of extra stats for the odd, unofficial challenges and volunteering heroics that parkrunners get up to. ...the Chrome "Easter Egg" goes much further and shows progress against all sorts of unofficial parkrun challenges! Alphabeteers - have run a parkrun starting with every letter of the alphabet. Groundhog day - have run exactly the same time twice or more in a row!! Pirates - have ran parkruns starting with 7 Cs and an R!!! Overseas - running parkruns outside of the UK. Volunteering - all sorts of bronze, silver and gold awards!!! I'll leave you to guess "Stopwatch Bingo" and "Stayin' Alive" etc. 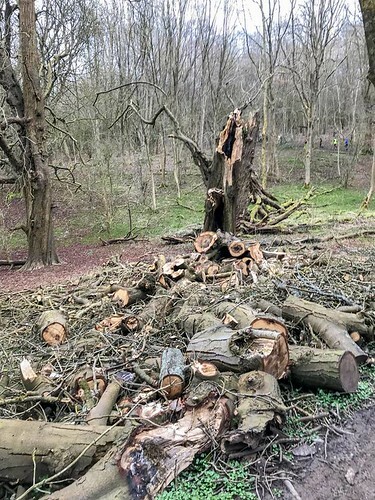 As usual a whole world of colourful facts and figures emerge in the wake of each Tring parkrun, including quite a few surprises. For example I would have bet money that we wouldn't see a PB. Good job I'm not a betting man! We considered a special award for those who made best efforts to stay upright. 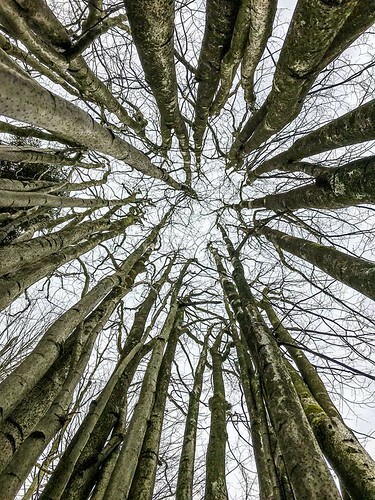 Here you can see several of the main techniques employed e.g. "the tree assist" and the "windmill arms". The winner is the good old "give each other a helping hand". William SPENCER - 7m 23s!!!!! First of all many CONGRATULATIONS to Julian CRANE and Colin CHAPMAN who both ran their 50th parkruns and earn a red milestone T-shirt. Colin has ran all of his at Tring. Julian reached his total by running 47 times at Tring and once each at Aylesbury Duck, Bournemouth and Southwick Country. 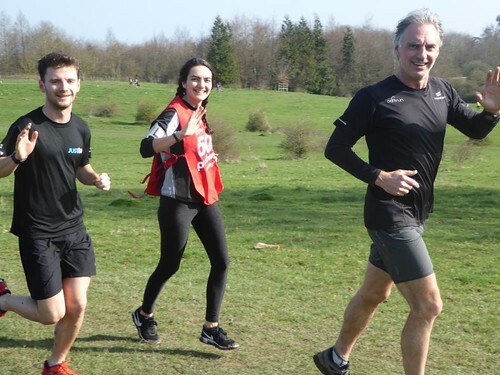 We saw City of Salisbury A & RC, Windrush Triathlon Club and Northern Fells Running Clubs for the first time at Tring. Welcome! Ignoring minute 28 (which must have missed the briefing) quite remarkably ALL the minutes from, and including 24 to 30, had 10 barcode finishers each! Despite the conditions, Angela DUNCAN broke her own course record for the VW75-79 age group with her time of 36:39. And Freddie TRUMAN-WILLIAMS set the 2nd fastest time for the JM11-14 age group with a time of 19:52. In the "who got muddiest?" award category there were too many too choose from and so it was a draw across roughly 200 people. Honorary mentions to these two heroic efforts though! Professor Stephen Hawkins (RIP) taught us about the "red shift" observed by objects travelling very, very fast. It's not a race, but is always quite impressive to see just how rapidly some can convey themselves round our challenging 5k route. 3 Paul CHAMBERLAIN crossed the line only 19:55 after Wes said "go"! You get rainbows when you get rain. We don't want more rain. But Spring really has sprung. 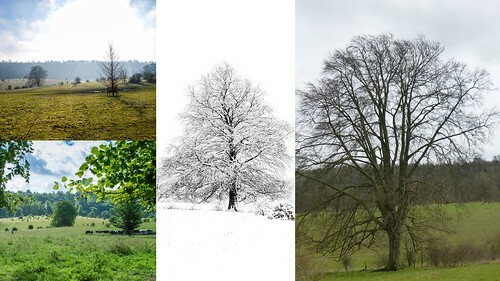 Watch out for the first seasonal article soon covering "A year in the life of Tring Park". 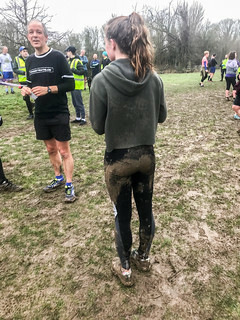 Thanks again to everyone for making Tring parkrun a happy place on Saturday mornings whatever the weather and however prominent the colour Emperador is. Colour in (or otherwise modify) the attached and send to tringhelpers@parkrun.com or post on our FB page. 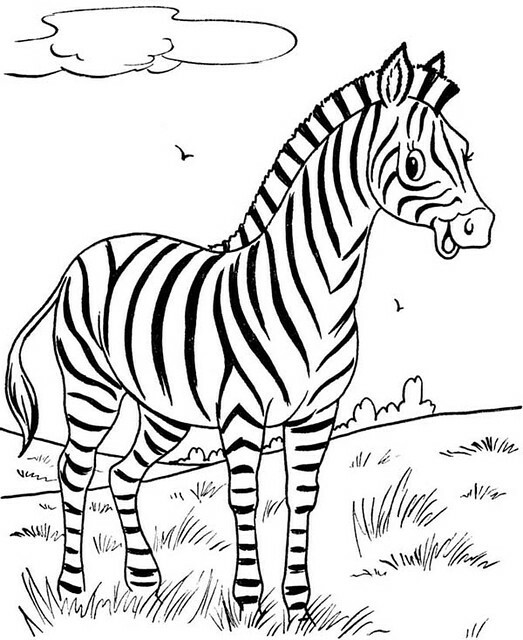 In fact, feel free to send us anything colourful to do with Tring parkrun or Zebras. The winner will receive a ludicrously valuable prize!! !